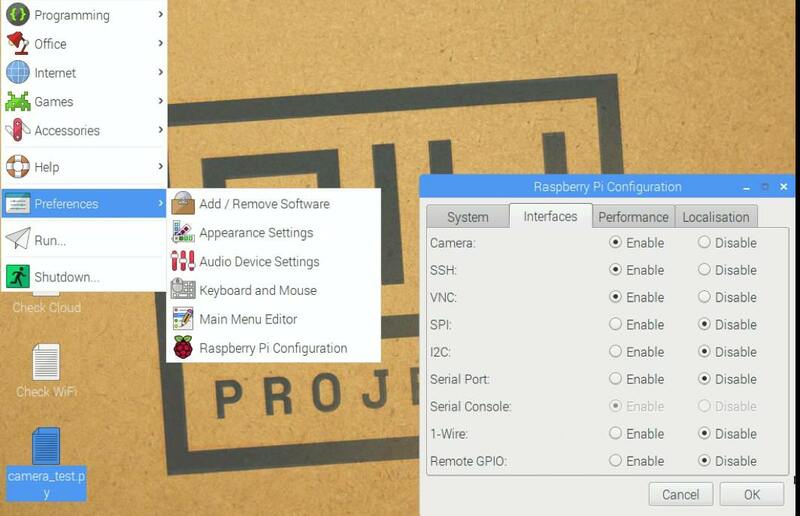 I've been using tightvncserver to sucessfully run remote sessions on my Pi but I'd like to be able to directly view/control the same session as I seen on my Pi HDMI connected monitor. I understand I need to use x11vnc for this (which I've downloaded and installed) but I'm struggling with Mr Google to find a working example of what parameters to use with it. I'm sure someone asked a very similar question a few days ago. I don't think it was fully resolved though. I'll see if I can find the thread. thanks Simon. I was looking for the same answer and your solution worked. Thanks Simon, I was looking for the same as well and worked for me as well. NB no need to make it executable. -bg : run in background after screen setup. Without it I get a blank / black screen on local (& remote) display - had to SSH-in, to fix via CLI. So, this option seems *essential* for me, though is rarely mentioned!? -nevershared -forever : on creating a new connection, drop existing. (I only need 1 connection). From x11vnc --help, this combo "guards against hung TCP connections that do not go away." -nopw : I choose not to use a password; this prevents a warning. I use the TightVNC client, as UltraVNC connects but displays solid (red) window, no contents. I use is on a daily basis as I'm remoting into battery powered robot RPi. Its worked with both tightnvcviewer and ultravncviewer, both here at home and in 2 of my schools. Using the .config/autostart/x11vnc.desktop file, Ultravnc still gives me a solid red(ish) [on Auto] or blue [manual settings] window - no desktop contents. With hindsight, I abandoned this method due to the above problem (I have) with UltraVNC [Win32, 1.0.9.6.1]; I've just confirmed it works fine with TightVNC. Figured out that it's not x11vnc that I need to tweek, but it's the X environment, so that when it's headless, it doesn't default to the small 656x416 window size. What do I need to change? A default 1024x768 would be enough for me. Solved my own problem, got it working by forcing hdmi in config.txt. Defaults to a decent screen size now. pbanders wrote: Solved my own problem, got it working by forcing hdmi in config.txt. Defaults to a decent screen size now. Could you post more details on how you did this? I think he meant that you have to edit /boot/config.txt and force hdmi display. After making this change i get a decent screen in my vnc connection. PS: Sorry about my English. I'm not a native English speaker. Hope someone would find it helpful. 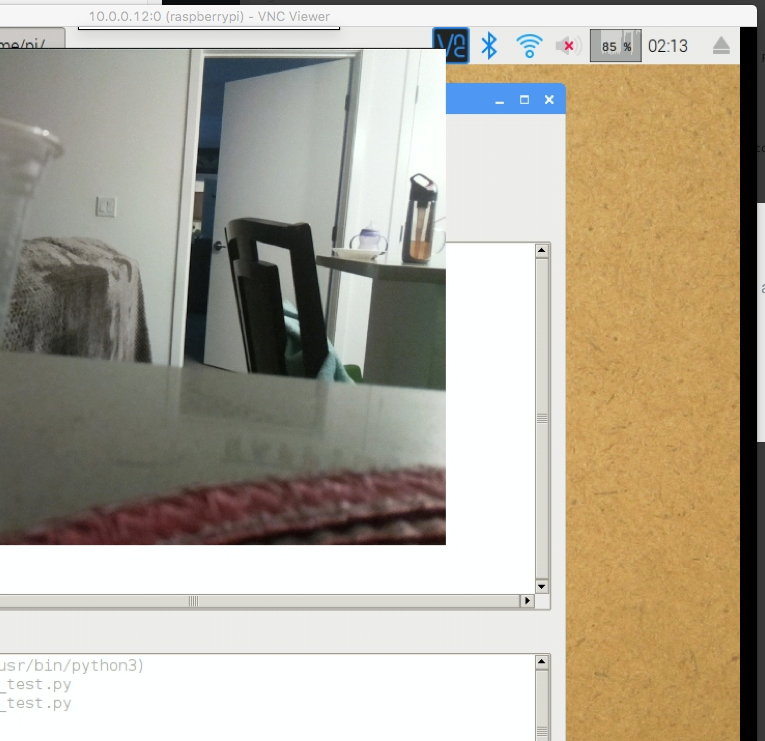 By default PiCamera can’t be viewed over vnc. Download the deb file from the above link, install using "dpkg -i <package>.deb"
Fix it by changing few display parameters for hdmi in "$ sudo nano /boot/config.txt"
Now you need to reboot "sudo reboot now"
Now open VNC to the pi, and enable "experimental direct capture mode"